Protecting sensitive data is the end goal of almost all IT security measures. The improper disclosure of sensitive data can also cause harm and embarrassment and potentially harm the reputation of your company. In today's electronic age, data security is becoming more and more vital, and companies need people who understand the field and keep up with its ever changing landscape. Digital nGenuity can provided the expertise you need to protect your IT systems and data. A robust firewall is essential in today's digital world. Not only does it stop intruders but it can be setup to limit unwanted traffic to your network. Digital nGenuity provides firewall appliances and services from Watchguard technologies. WatchGuard Technologies is a provider of network security products and network security computer appliances to businesses that range from SMEs to large distributed enterprises. WatchGuard architected its high-throughput, highly scalable, and flexible Fireware operating system to form the backbone of its products. This platform yields dramatically higher performance at a much lower cost than competitors in environments where multiple security engines are enabled. Digital nGenuity can provide you with robust email and system security software. Our solution is a highly intuitive and adaptive cloud-based security service that enables you to easily manage and protect your email systems from one console. Our solution uses traditional and cutting-edge technologies to enhance email protection and features built-in continuity that ensures uninterrupted service if your email infrastructure is offline. The option to add archiving, which is fast becoming a business necessity, is also available. 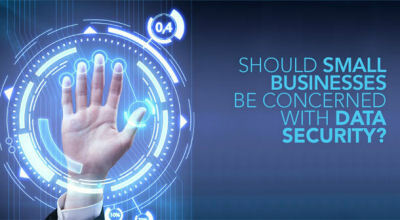 Call us to obtain the latest information and design and implementation of a state of the art Network Security system. We also consult on physical security recommendations for your IT infrastructure.